This is auto updated page new photos will be added daily. The below is a slideshow, this may not show up on Mobile. Photo credits Uday, Vijay Lingayat, Prasad Parmaj, Biswajith Baruah or as mentioned contributor. it wont open on mobile we have checked. thank you sir, where are 120 photos now?.. Where the hell all photos have gone? ?/?….there were some 120 Shri Ganesh photos…. Thank you uday sir. for your kind updates of Ganesh moorties. i am very thankfull to you for uploading the pictures ….. Could enjoy the Utsav being outside Belgaum as well. Is it possible to upload photos for down load? I see Beautiful temple’s, Beautiful People’s, Beautiful Places, Beautiful Weather, Beautiful Rainy Season, Beautiful winter Season, and Beautiful Ganapati’s of BELGAUM. Thank you for uploading all the Images, May Lord Ganesha’s Blessings will always be with you. Thank You once again. Can you please post the pictures of prize winning Ganapati’s in Belgaum. Also the Mandals which have backed prizes for decoration. Uday, please upload Kangral Galli (2 moorties) and Chavat Galli ganesh moorties I am eagrly waiting to see those moorties only 3 more days left……………….. I m Sachin M Babladi the Treasuer of Sarvajanik Shri Gajanan Utsav Mandal, Shivabasava Nagar Belgaum, Behalf of Mr. Praveen A. Chate, Chairman of Sarvajanik Shri Gajanan Utsav Mandal, Shivabasava Nagar Belgaum, Thanking you for uploading the pics of Sarvajanik Ganeshotsav 2012…Sir i request you to change the one of mandal name that u have enter the name of Shivabasava Nagar for Gangwadi area. So I request you once again to change the name of Shivabasava Nagar for Gangwadi area Ganapati and upload the Shivabasava Nagar area Ganapati photo….. 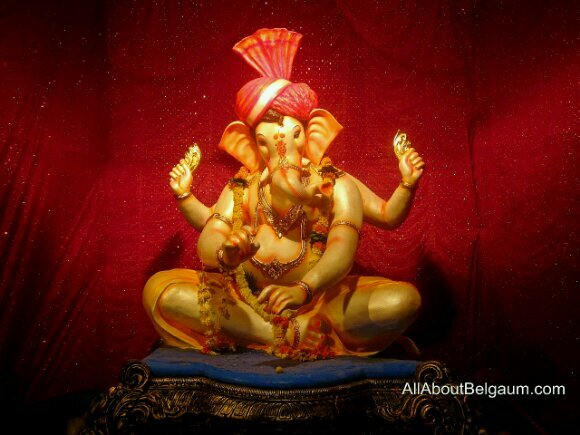 Thanks allaboutbelgaum for uploading the pictures of Ganesh Darshan. This is indeed a wonderful feeling that we are not made to miss Belgaum.. Thanks a lot!!! Thank you for putting up these beautiful images. Thanks Uday for uploading the Ganeshostav celebration in Belgaum.please upload the Azad galli ganesh. Thank you for uploading the pictures.